Except for one part-time employee, the Dharma center is run by a volunteer staff and board. We are practitioners in these Buddhist traditions who would like to see this space maintained to provide a sanctuary for Buddhist practice in the Bozeman community. Casey Cassidy (Chair), Genevieve Calmes, Sheila Devitt, Cyndi Fonda, Betsy Fordyce, Philip Gaines and more. Special thanks to each of these volunteers for their long-term service in providing this essential program. Volunteers from the three residential sanghas provide flowers every month! Thank you so much! 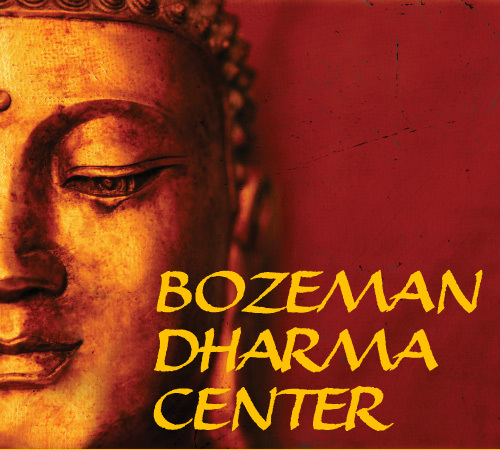 The Bozeman Dharma Center was founded in July 2013 by Mem Schultz, Susan Morgan, Alice Robison and Suzanne Colón. They are grateful to the efforts of Sheila Devitt and many others who held a vision for a designated space for meditation in this community. Together with the leaders of the Insight Community and the Bozeman Zen Group, they created a shared home for Buddhist practice in Bozeman. Many thanks to all who help support the center with time, care, funds and attendance.